As I’ve mentioned in previous posts, I love coffeehouses. 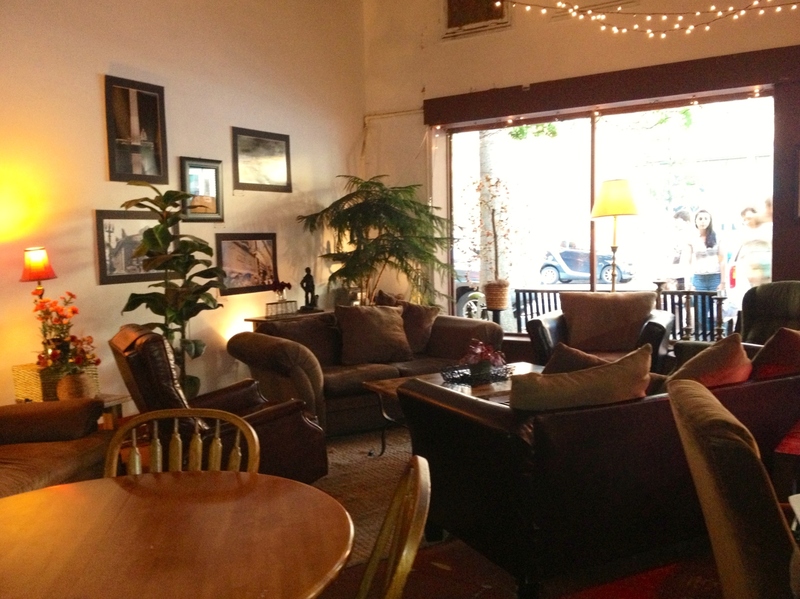 I don’t particularly love coffee, but I’m all about a nice atmosphere and a casual, laid-back ambiance. I love Northside Social, but it’s always bustling, no matter what time you go. Sometimes after a long day at work, all you really want is a comfortable chair (every time I’ve gone to Northside Social I’ve had to settle for a stool). So feeling the need to expand my Arlington coffeehouse database, I went online and checked out coffeehouse reviews. 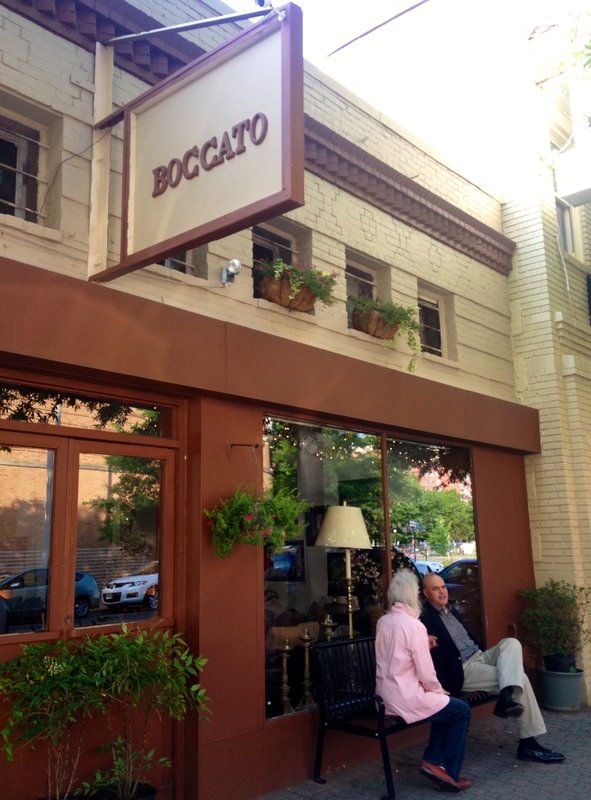 I saw that a place called Boccato (2719 Wilson Blvd Arlington, VA 22201, (703) 869-6522) on Wilson Boulevard is highly rated, so I texted my friend Hee-Jin and asked if she’d be interested in joining me. 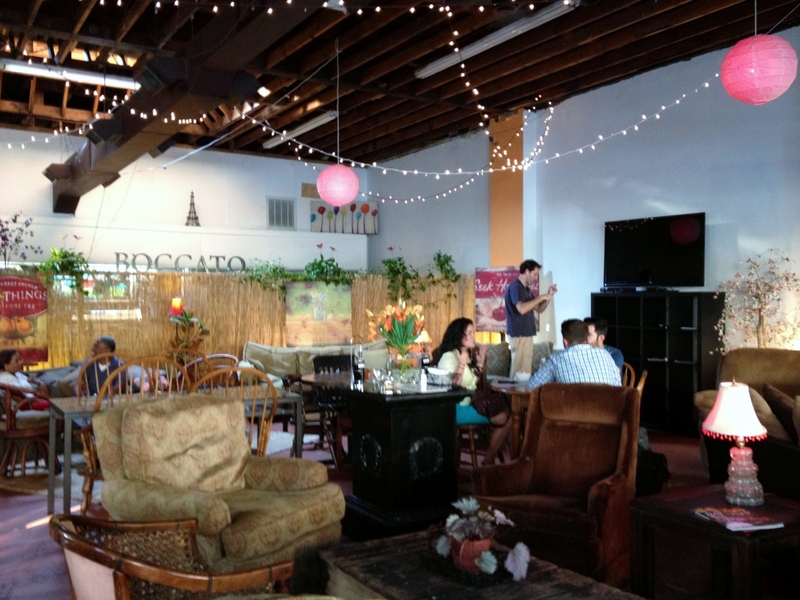 Unlike Northside Social which seems to attract a very specific age group (let’s say 26 to 35) Boccato attracts a wider age demographic, ranging from small children at the gelato counter to young professionals on a first date to older couples enjoying a good cup of coffee. I’ve read reviews saying that Boccato can fill up quickly, but when I went on a Monday at 7pm there were plenty of empty tables to choose from. My first impression was that it’s a good place for a first date or a get together with friends because it’s quiet enough to be conducive to conversation. 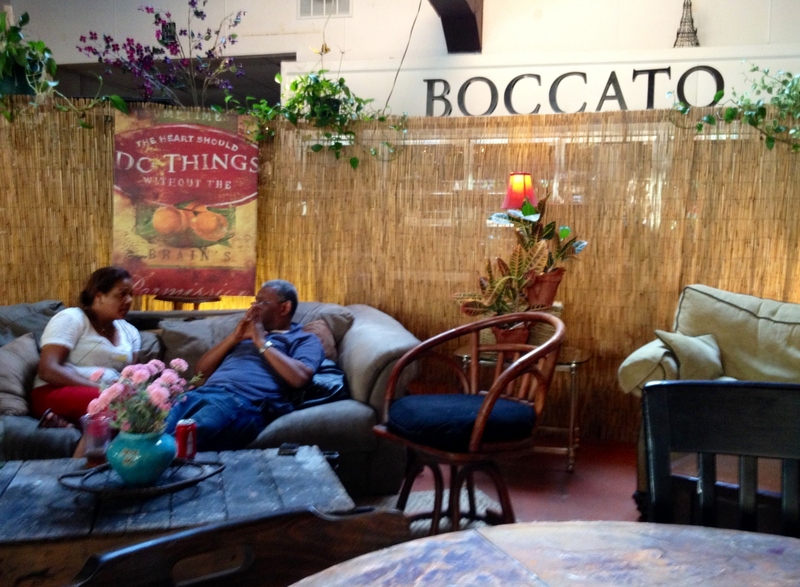 The best way I can describe Boccato is that it feels like a tropical antique furniture shop. 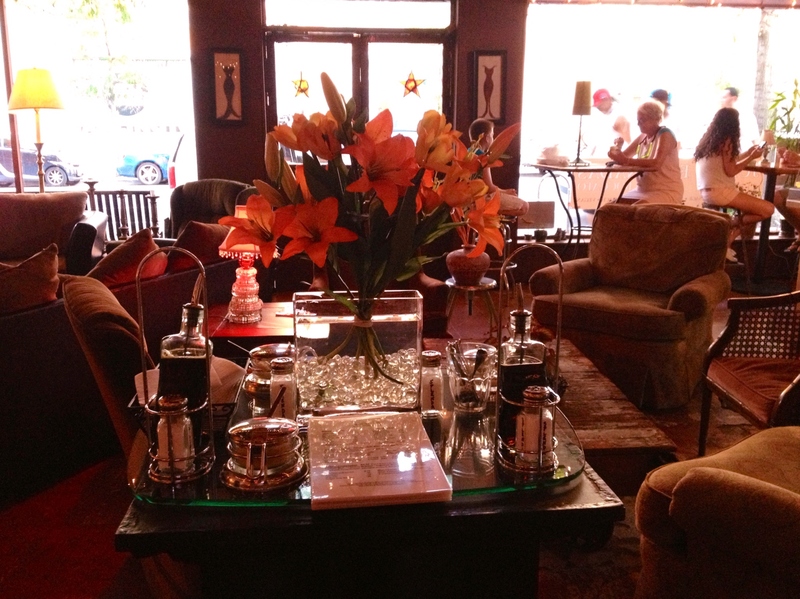 It’s eclectically decorated with antique-looking furniture pieces, fake flowers and plants and string lights. It sounds weird, but it works. Seating is a combination of antique-looking wooden tables, rocking chairs, sofas and easy chairs. Walking into Boccato you might think it’s a small little shop because the gelato/coffee counter is a bit small and tight, but it opens up to a relatively large and spacious seating area in the back. 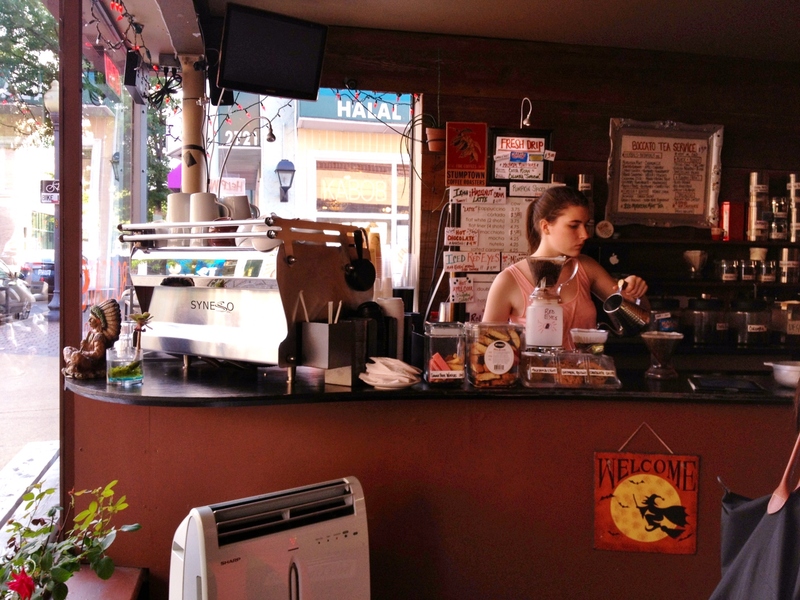 Coffee is made at the front counter and there’s a gelato bar with about a dozen flavors. My friend Hee-Jin, who I would describe as a gelato expert, said the gelato is good, but not great. 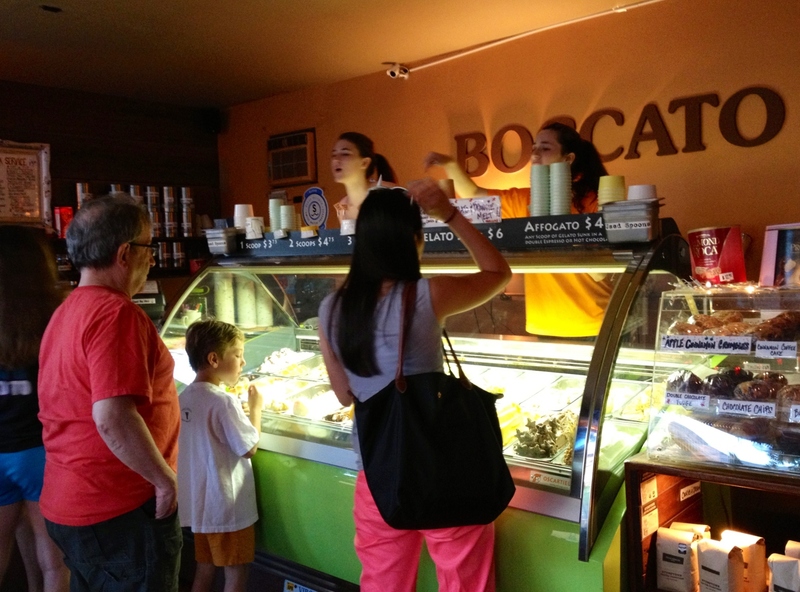 Boccato offers an $8.75 deal which includes a coffee, chips, a relatively large empanada (there’s a Julia’s empanadas here) and a serving of gelato. I had the cappuccino, which was perfectly good, at least to my unrefined taste buds. So my overall opinion is that this is a nice spot to grab a cup of coffee, indulge in some gelato or grab an empanada…and it’s a good place to get some work done or meet someone one-on-one because it’s quieter and less crowded than Northside Social . 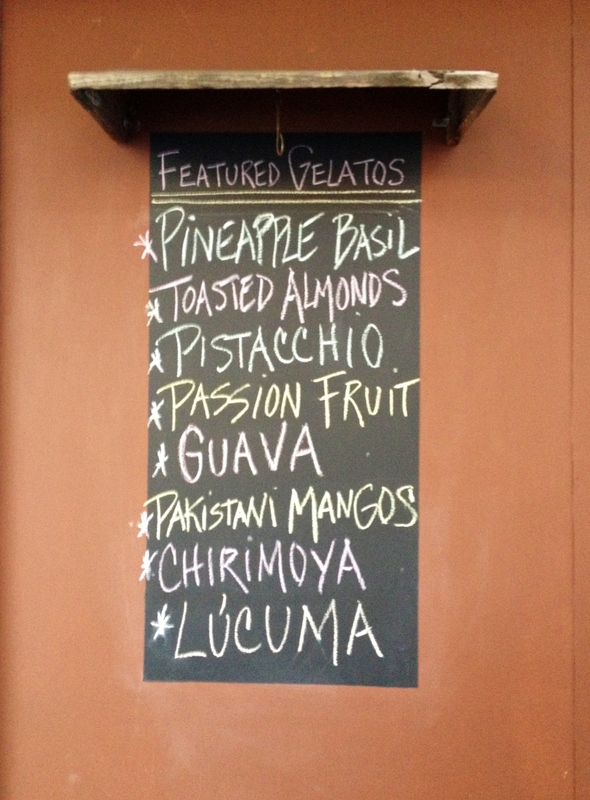 Some of Boccato’s gelato flavors. The gelato counter at Boccato. 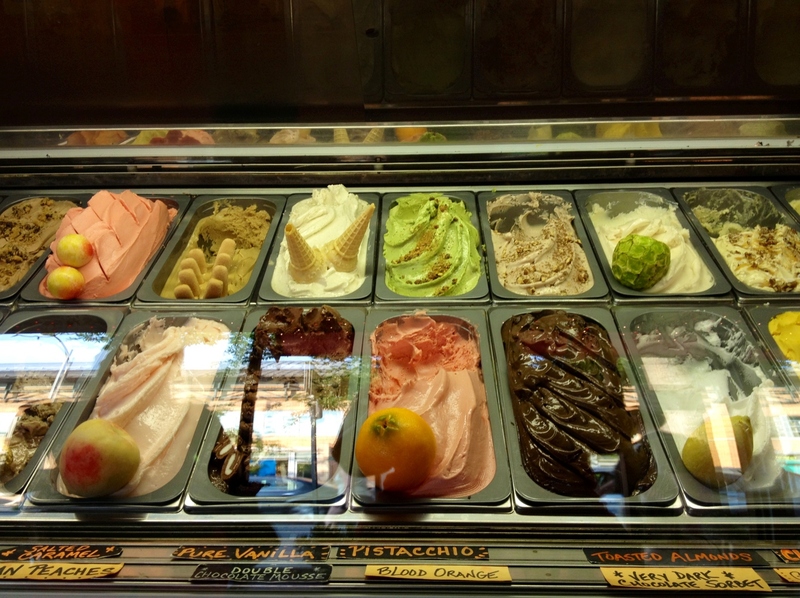 Picking out a flavor at the gelato counter.